Awesome production of Lion King in London. The cast is sensational. Visited in July 2017 from U.S. and felt it was better than production here. People we met near the theater for dinner in London told us it was one of best shows they had seen there this season. 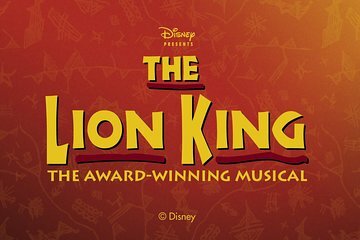 We were having trouble choosing which show to see given only three days in London and happy we chose to see the Lion King.Well worth your time and money- very moving and well done! We bought the top seats with dinner included. The meal was superb and a pleasant experience. As for the top seats, we were disappointed. They gave us two seats in a place where we did not have a full view of the stage. Otherwise, all was well organized and tickets ready for picking up upon arrival. Took my son here on one our my weekend trips and he loved it! It is one of his favorite shows. The voices were strong, the puppetry was amazing and we were very pleased. Awsome !! My seat was great and the musical was amazing !! Don't book cards with a diner. The Theater didn't know where to go, so that was expensive. The top seats were no top seats, please buy the tickets at the ticketservice at the theater. An expensive night but the show was perfect! This show was excellent! From beginning to end the performers did not disappoint. I loved when the show first started with the iconic singing , her voice was excellent! The costumes and makeup were superb, couldn't ask for a better night.